This is not an official sew-along. I'm simply posting the steps I take and the modifications I make to sew this particular commercial pattern, a pattern where sweater knits aren't specifically suggested. 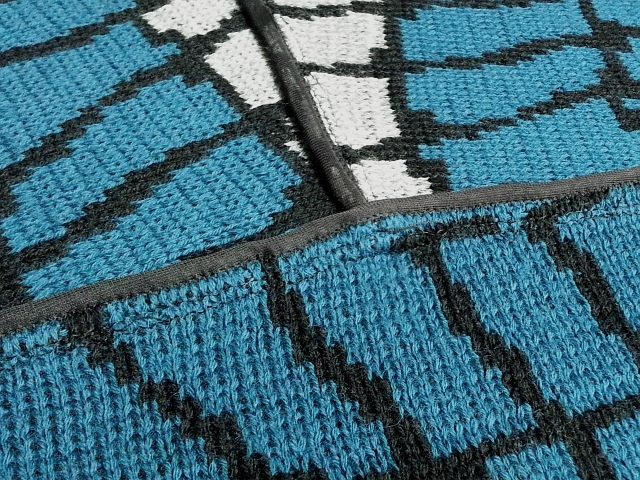 For me, a key part of preparing to sew this cardigan is the thread tracing. Being able to see the sewing lines on both sides of the fabric when pinning and sewing makes things much easier. Thread tracing also makes it easier when doing any last minute minor fit adjustments. So you noticed I did no fit adjustments and no mockups? This is a loose fitting cardigan with drop shoulders and no buttons. I didn't think it was necessary. I hope I'm right. Following the instruction sheet for View B, I've skipped steps 1 & 2 because I'm not doing pockets. Step 3 is basting the stabilizer to the neck and shoulders. Like all the other pieces I traced the sewing line with chalk. I didn't bother to thread trace my interfacing, though I wished I had. The chalk was nearly all rubbed away by the time I needed the sewing line for the shoulders. Way back in Tracing, Tracing, Tracing - Part 3 I thread traced with a contrasting (orange) thread on the outer edge of the chalk line. Following the specified order on the instruction sheet, I now stitch my seams just inside this easy to see thread traced line. The orange thread pulls out quite easily after sewing the seam, even in those few places where I accidentally sewed over it. I'm not using any of the suggested methods to finish my seam allowances. Instead I'm using a thin nylon mesh fabric to bind the seam allowances with a stretchy Hong Kong finish. I hesitate to mention my settings, because I've found that my exact settings change with the fabric I'm using and the location of the seam. For instance, I always want the neckline of a pullover to be stretchier than the shoulders of a cardigan. 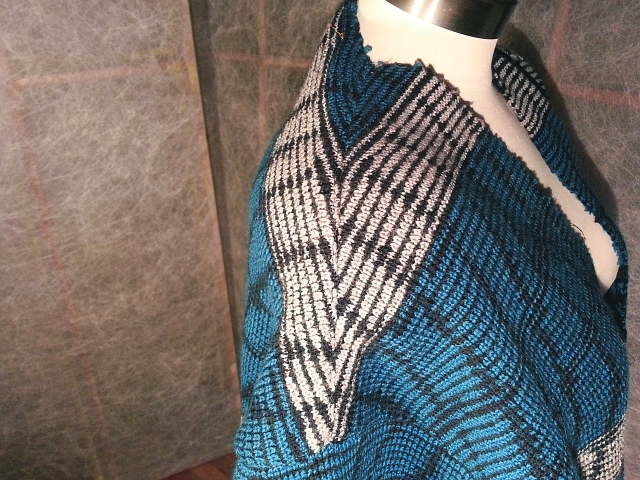 Here are the zigzag stitch settings I'm using for this medium to heavy double knit cardi. The step number in parentheses refers to a step on this page. Because this fabric is substantial and springy, I've been careful to steam the seams well after each step. I've also decided to top stitch with seam allowances, steamed to one side, as I did on the Zipper Ripple Jacket, even though the fabric isn't quite as heavy. So far, so good! I've sewn shoulder seams and attached sleeves (flat method) to the jacket. Next up -- side seams, bands, and hems. I absolutely love how this is coming along. You always make the most beautiful projects with your knits. Thank you, Andrea! I still can't get a sense of whether this is dressy or casual.... Well, I'll know soon enough!